There is perhaps no other Catholic dogma that is more subject to abject scrutiny, and also more misunderstood, than that of purgatory. Detractors will the call the notion an unbiblical or even pagan invention, but that couldn’t be any further from the case. 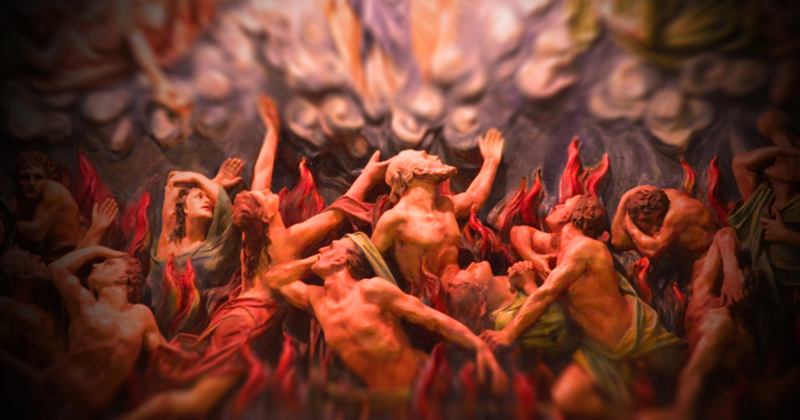 What exactly is purgatory? Purgatory is the place children of God go to upon their death, where while they were in a state of grace and free of mortal sins, were guilty of venial sins or failed to do full penance for sins already forgiven. Purgatory is not a last-chance opportunity where unrepentant souls can get a chance at Heaven, instead it is a place where people are purified of any attachment to sin. Following death and after being prepared for Heaven in purgatory, purified souls will enter into enjoy the fullness of the Beatific Vision. Why is purgatory necessary if Christ died for our sins? If we die in a state of pure grace with no blemishes on our souls, we go to heaven. If we die having not confessed our sins and repented, we go to hell. A majority of us wont fit either extreme when we die, we fall in the middle and cannot go to Heaven or Hell, we must go to purgatory. As we know, nothing impure can enter Heaven. Therefore, Christ dying for our sins is precisely why we need purgatory. How can God have given us His only Son so we may have eternal life, if the majority of us upon death would not be pure enough to enter heaven? The answer is we are purified of our attachment to sin in purgatory as a final step so we may achieve heaven. Purgatory, while not explicitly stated in the Bible, is implicitly found and referenced to many times. The first mention comes in the tale of heroic Judas Maccabeus, who following a battle when to collect bodies of his fallen men, discovered some of them had amulets to false idols which was against the law at the time. They prayed for their fallen brothers so their sin may be wiped clean. Another reference comes during the famous Sermon on the Mount, where Jesus is very explicit about purgatory. We know that there is no liberation from the torment of Hell, nor does anyone in Heaven have a penny to be paid; therefore, Christ is referencing a third place upon which we die the penny shall be paid and our souls purified. An even more straightforward reference comes Paul’s first letter to the Corinthians. Paul clearly speaks the works of the Faithful will be tested after our death, through a figurative fire. Scripturally, fire here is used as a purifying agent. What Paul talks about cannot be Hell, because souls are being saved. However, it cannot be Heaven because there are imperfections of the soul that must be burned up. What exactly is it this place, not of Heaven or Hell, where our imperfections are burned up? Purgatory. What did early Church Fathers have to say about purgatory? The concept of purgatory has been part of the true Faith since before even Christ, as seen evident in the tale of Judas Maccabeus. Early Church Fathers supported the doctrine of purgatory. In Tertullian’s writing on monogamy in 216 A.D., the idea of praying for the dead was prevalent during the early years of the Church. Saint Augustine more clearly defines the doctrine in his most famous work The City of God, and also describes the difference in judgment for venial versus mortal sin.